On November 5, 1880, Anna Susanna Schlia was born in Lagschau, West Prussia. The village is now Łaguszewo, located about 25 km south of Gdansk, Poland. Anna was the daughter of August and Francisca (née Schwertfeger) Schlia. Ledger records indicate that Anna was baptized on November 7, 1880. Friedrich Schwertfeger (probably the brother of Francisca) and Caroline Backof are listed as witnesses. August Schultz, age 30, male, laborer, Germany. Francisca Schultz, age 25, female, wife, Germany. Anna Schultz, age 1, female, child, Germany. The family settled in Buffalo, New York --- in a German neighborhood known as "The Fruitbelt" due to several of its streets being named after fruit trees. Francisca and August eventually anglicized their names: Francisca became "Frances (née Schwert) Schlee." August became "August J. Schlee." 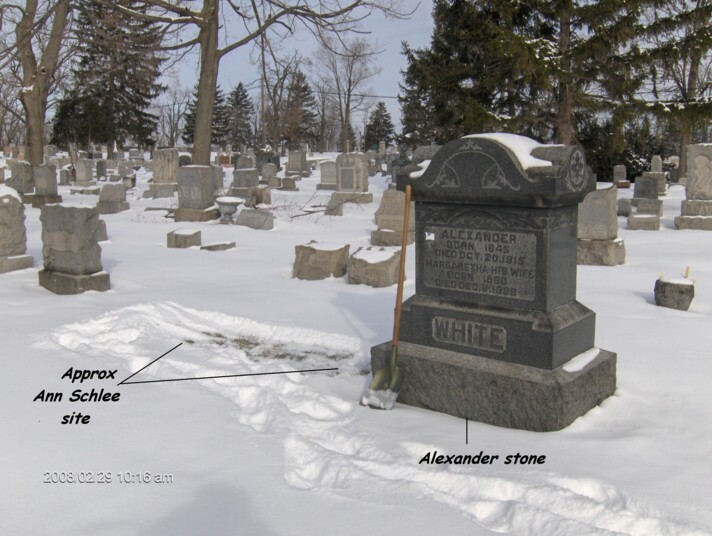 Anna died on January 30, 1883. She is interred in Section 8b, Lot 28, United German & French Cemetery (Pine Hill), Cheektowaga, New York. The grave is apparently unmarked. 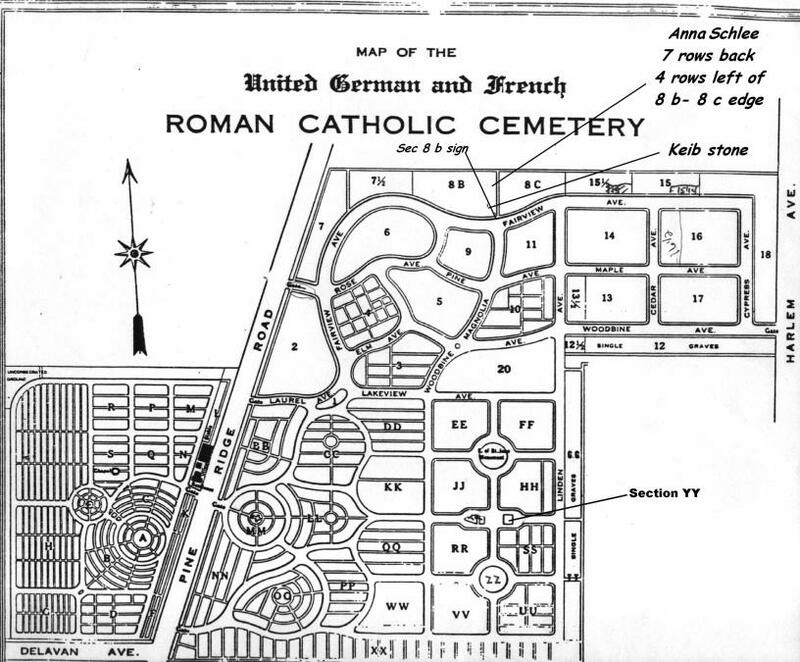 Apparent location of the grave of Anna Susanna Schlia, Section 8b, Lot 28, United German & French Cemetery, Cheektowaga, NY. 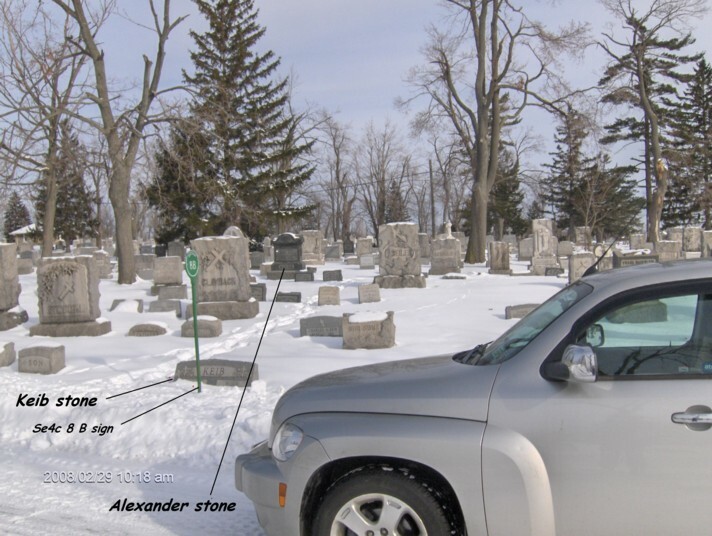 The grave appears to be unmarked. Death Record: Anna Schlya (= Schlia), daughter of Francisca (née Schwertfeger) and August Schlia. Saint Boniface R.C. Church, 124 Locust Street, Buffalo, NY. Died January 30, 1883.